← 2012 Urbana Arts Grant Recipient: REsonance: Touch here. Listen. Have you ever wondered what kids think about arts and cultural events they attend? 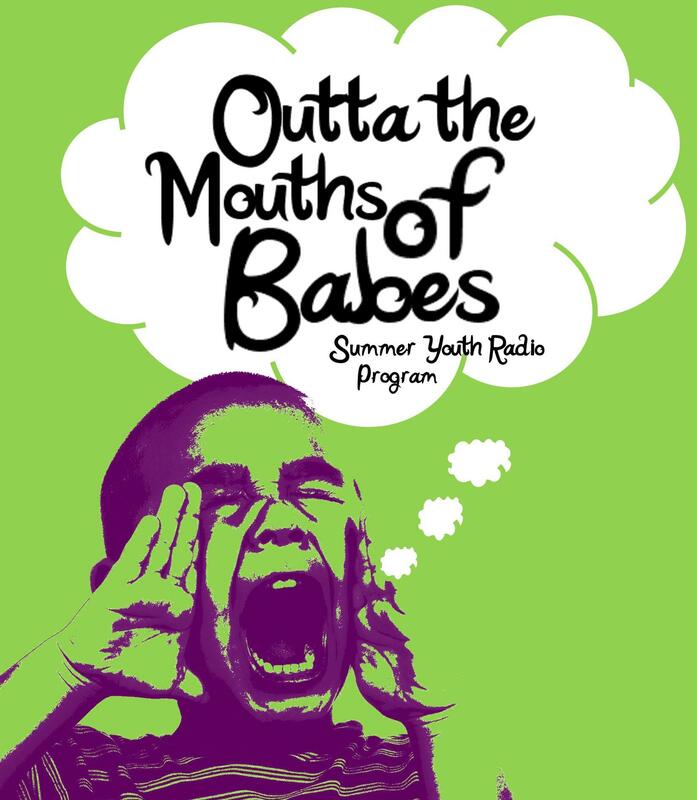 One 2012 Urbana Arts Grant-funded project, the Outta the Mouths of Babes Radio Project, seeks to give local youth a voice using the format of a 12-week radio show airing this summer. Program Directors Rachel Storm and Alex Cline talk about their inspiration for the project and how they hope . What is the Outta the Mouths of Babes Radio Project? 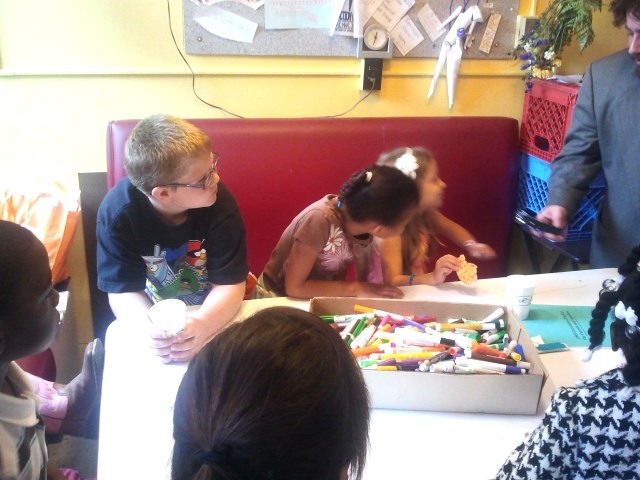 Outta the Mouths of Babes is a 12-week radio project that invites local Chambana-area youth between the ages of 5-11 years old to become “Youth Correspondents” in a radio show where kids comment on local arts & cultural happenings! Outta the Mouths of Babes’ youth correspondents will be chaperoned to events throughout the Urbana-Champaign community where they will meet event organizers, witness cultural and arts progams in the area, and comment on what they see/encounter. The OMB interns and Program Directors will collect their responses on recording devices during programs and will record soundbytes of the events themselves. All of this will be compiled into a pre-recorded radio show that will air weekly in June and July. At the end of the 12 weeks, youth correspondents will be celebrated for their terrific reporting in a reception at the IMC in August! Where did the idea for youth arts and cultural correspondents come from, you ask? Rachel Storm and Alex Cline–a boyfriend-girlfriend duo and Co-Directors of the program–have long wanted to get into radio production, but they couldn’t settle on a theme. Jazz radio show? A talk show on local politics? Art on the air? They got inspired when they both attended a gong performance last October. It was there, among the loud experimental noise music of a gong orchestra, that they watched as their friend’s son closed his eyes and began moving his arms to music that most would consider “not something you dance to.” This young person, truly one of the only people in his age group attending the performance, experienced the music in a way that showed he could understand and appreciate it. And voila! they decided that finding a way to get youth immersed in the arts and giving them space to review what they experience could be the recipe for a great radio show. Now, it isn’t just that they wanted to create a show that gave youth opportunities to experience great art in C-U (although that was part of it), they also knew that “kids say the darnest things.” They are insightful, hilarious, and see the world in ways we often don’t. This is what the show has set out to capture. Rachel and Alex were lucky enough to receive an Urbana Arts Grant from the City of Urbana that helped get it all off the ground. Why is it important for youth to take an active voice in arts and cultural events in the community? How do you hope Outta the Mouths of Babes will contribute to this? Outta the Mouths of Babes, as a project, is rooted in a commitment to youth empowerment, diversity education and cultural learning, digital media literacy, and a commitment to engaging folks of all ages in local arts and social culture. We know that youth bring a strong attention to community engagement, vibrant story-telling, and hands-on education.Youth often see and understand in expansive, divergent ways that adults have been trained to no longer tap into. By giving youth a space to share their insights and ideas, the Youth Coorespondents will teach adult listeners how to find their own ways of seeing and engaging our local community. Find out more about the Outta the Mouths of Babes Radio Project on their website and Facebook page. This entry was posted in Uncategorized and tagged art, babes, mouths, outta, public, radio, urbana. Bookmark the permalink.